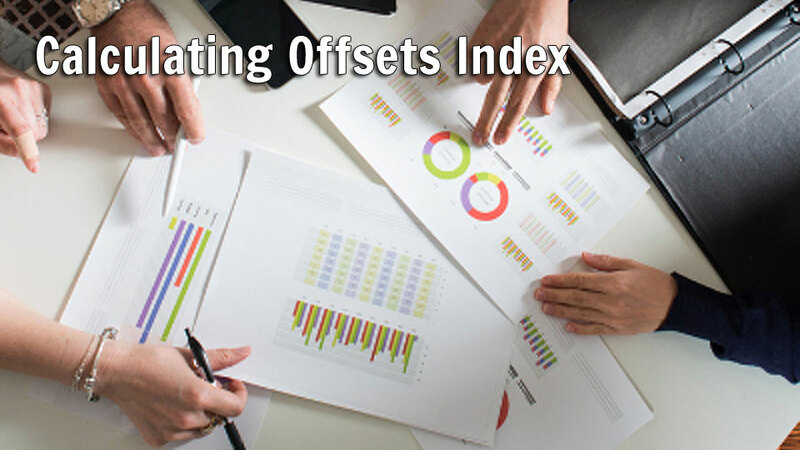 Offsets measure the difference between actual conditions and the healthy targets for each indicator. With water quality, the desired condition is for actual conditions to be lower (better) than the target. With sea grass, the desired condition is to be higher (better) than the target. Offsets were calculated from the target along with the number of times that the offset occurred (percent occurrence above/below the established target). Standardizing a scoring system using offsets provides an easy way to compare seagrass and water quality scores between lagoon areas over time. Frequency distribution of the offset data provided a means to develop a scale that could be scored using standardized numbers and colors. Using a statistical procedure (Jenks) that naturally breaks the data into equal categories, four negative offsets/percent occurrences classes (below target) and two positive offsets/percent (meeting or exceeding target) occurrences classes were categorized. This allows each sublagoon to be scored areas and graphically interpreted in tables and maps.